Nona Melnick, Principal at Horsham Montessori Children’s House was honored to be a guest speaker at the Horsham Township Library’s Giggle, Squiggle and Discover: Parent/Child Workshop. 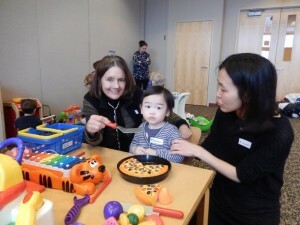 While the children enjoyed some great activities and art and made new friends, the parents were able to speak with Nona about her early education experience. The Giggle, Squiggle and Discover: Parent/Child Workshop will also be held on Tuesday, March 11th, Tuesday March 18th and Tuesday, March 25th from 10:30am-11:45am.